Coco & Bean offer a number of personalised branding options to create a bespoke gift that will reflect your company. Personalised branded gifts are an incredibly effective marketing tool, as they put your business name into the hands of your valued clients and customers. 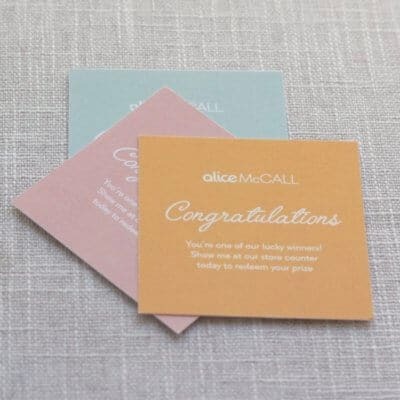 Find a selection of our personalised branded range including gift labels, gift cards, and personalised printed ribbon below. We include free artwork on all our personalised branding. For company logo’s please email a high-resolution AI, EPS or PDF file of your artwork to us at hello@cocoandbean.com.au we will then provide a mock-up of your branded item for approval prior to production. 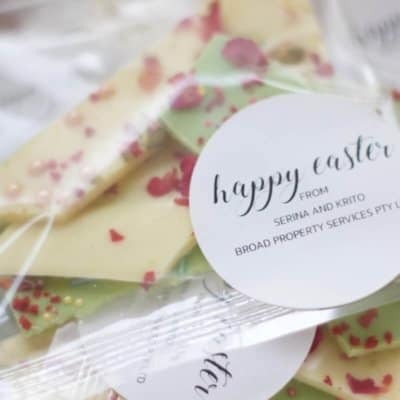 Whether you need to promote a company, a special event, or a product launch Coco & Bean can integrate all your promotional material to create a completely bespoke gift that your clients will love and remember you for. Thinking of something else for your branded gifts? Contact us today at hello@cocoandbean.com.au to discuss your special requirements. We love partnering with businesses to create deliciously unique gifts that help you achieve your goals. 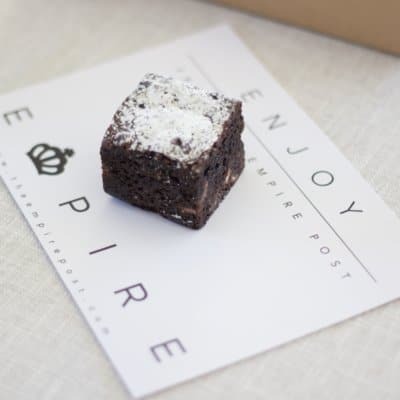 Personalise gift boxes with our delicious artisan treats to suit your budget and event. 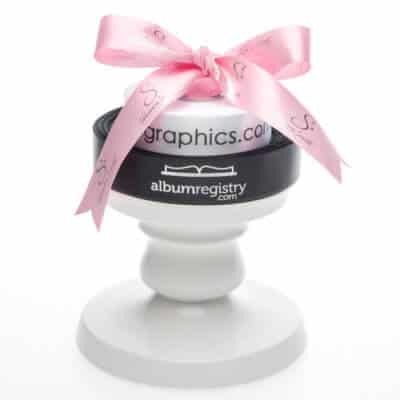 Corporate branding with your company logo printed on labels, stickers, gift cards or ribbon. A simple ordering, delivery and payment system. 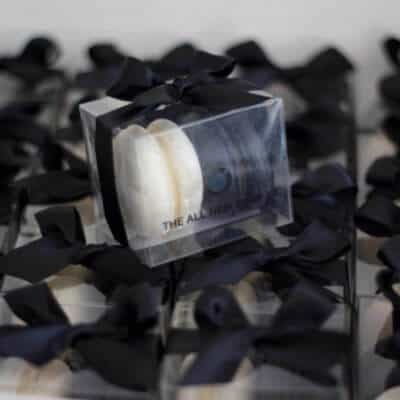 Contact us to discuss your needs and allow us to design an exquisite gift to suit your company. HAVE 10 OR MORE GIFTS TO SEND? TO SOMEONE QUICKLY REGARDING AN ORDER? We are available to answer your questions via phone or emails. “It’s funny … before I bit into your pistachio macaron my first thought was… WOW! I want to photograph this!